Yet another in my long line of revisits has been Triple Coconut Tree. My original experience was underwhelming and I had every intention of eating there again, but call it the "it's too close to my house" syndrome. Yah, I've been out to Langley for pho before going back to TCT. But with Big D looking for lighter eats, it looked like a great opportunity to head back. We did consider heading back to Woody's for some more of their daily specials, but even we get sick of fried food sometimes. 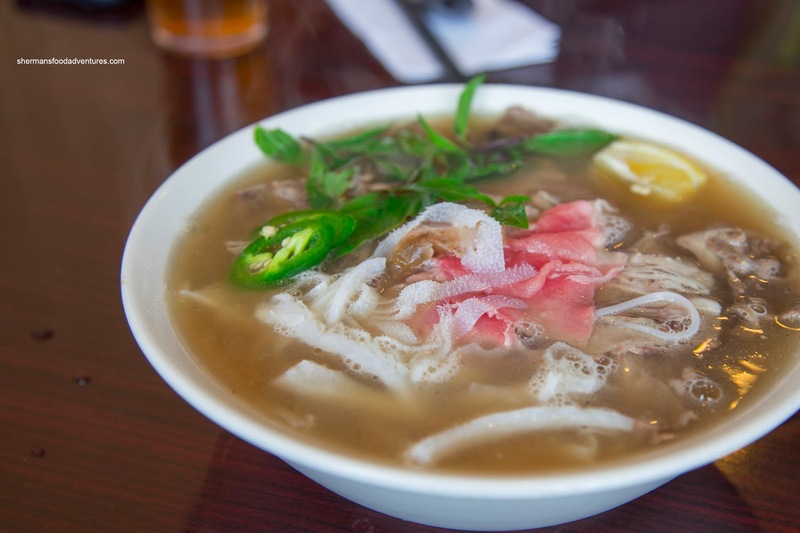 Although a bit murky and cloudy, the Pho broth itself was rather mild and mostly sweet. I didn't think the individual flavours were that apparent as it was more muddled than clean. However, I did like the temperature of the broth as it was scorching hot which ensured that both the rare beef and sprouts would be somewhat cooked. On the topic of the beef, the modest amount was really tender. As for the noodles, they were on point being chewy and not clumpy. Of note, I asked for cilantro only, but was told everything was mixed together. But what about the cilantro in my banh mi? I digress. Big D was at his healthier eating again and got the Pho Ga. One sip of the broth and it was apparent they dumped a whole lot of MSG into it. It was super sweet and really flavourful. I did like the addition of fried garlic as it added more savouriness and aroma. 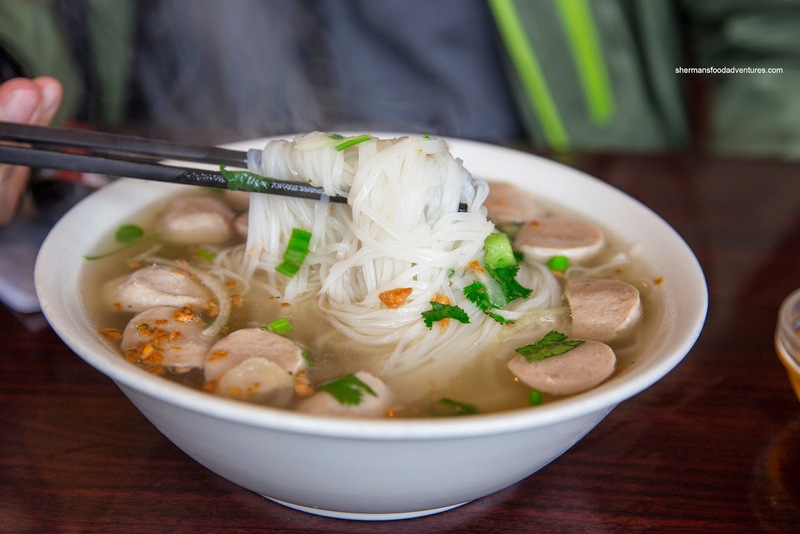 Like my pho, the noodles were on point while the chicken meatballs were moist and bouncy. 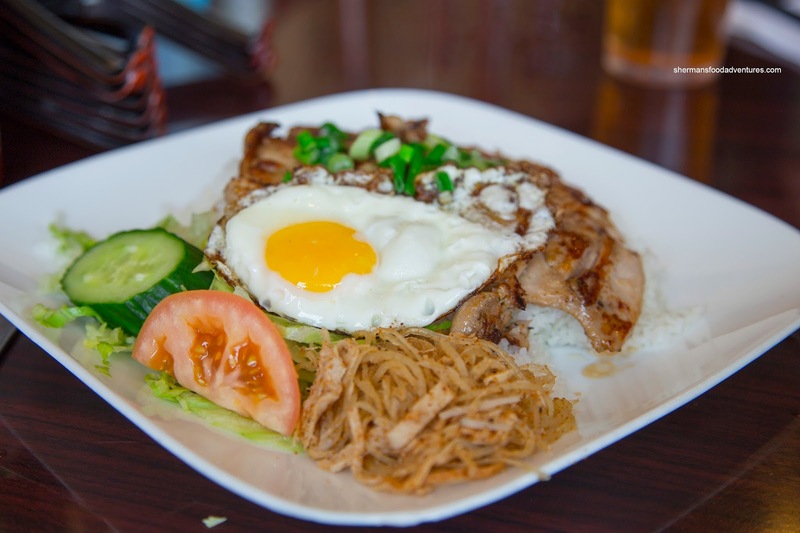 Naturally, this wouldn't be enough food for us, so I got the Lemongrass Chicken with shredded pork and fried egg on broken rice. This was a fairly large portion with chewy rice and really juicy chicken. It had a light browning that really didn't add much in the way of caramelization, but the chicken itself was marinated enough to counteract that. They could've been a bit more generous with the shredded pork as I finished it in one bite. 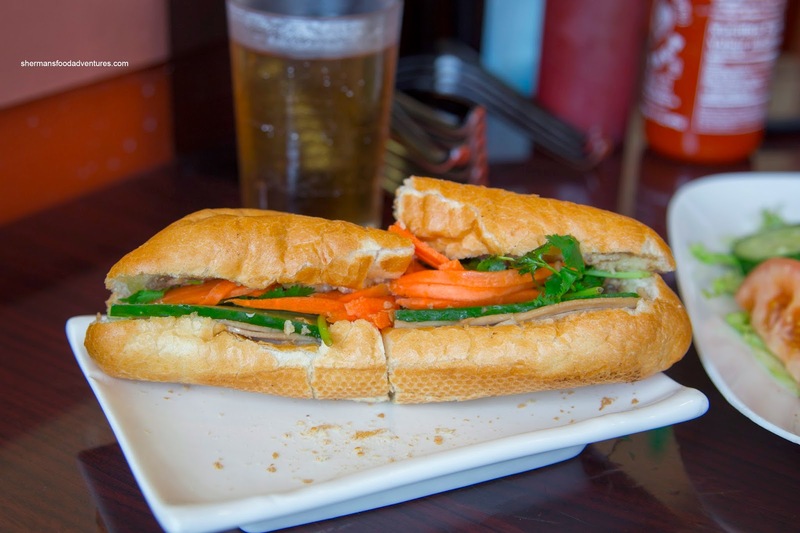 Lastly, we tried the Banh Mi Dac Biet. First off, I really liked the bread as it was really airy and crusty. Second, there was pate to go along with the nicely pickled carrots. However, they really needed to add some fish sauce or Maggi as the sandwich was quite bland (if they did add it, there wasn't much of it). Furthermore, they really skimped on the meat. Passable - that would be the best way to describe TCT. I guess it was better than my original visit, but I'm not aching to return anytime soon. Pretty meh place from my experience. Was once there during Bby Height's Hats Off Day. Food was quite mediocre and service simply sucked. But it may have been an off day for them given the event's populous attendance, maybe they were simply exhausted. I've had better Viet eats from A Taste of Asia over just past Willingdon, next door to the ramen joint.